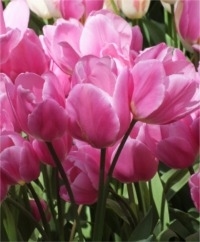 These bouquet-flowering tulips produce at least four, full-sized flowers per stem. 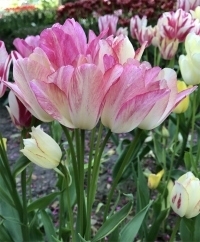 Technically not a class of tulips unto themselves, but part of the single late group, they make for a full garden display as well as lush cut flower arrangements. 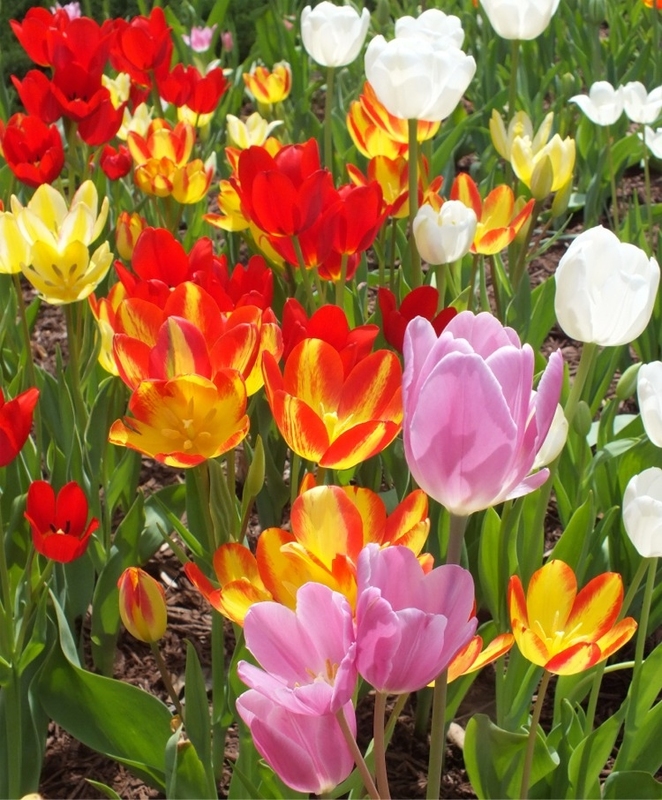 Note: Insufficiently cold winters, winters with inconsistent cold temperatures and poor snow cover or raised bed plantings may result in Multi-Flowering Tulips blooming in a single form due to poor root formation. Top size bulbs: at least 12 cm. Bloom time: May. Plant 6" to 8" deep 6" apart. Horticultural zones 3-8. Height: 14" to 20".